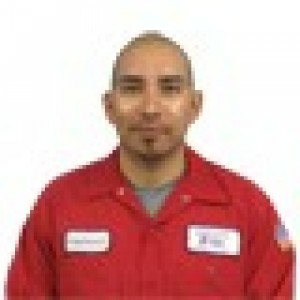 Miguel, Abraham and Isaiah were all very courteous, professional, friendly and efficient when completing all the work. 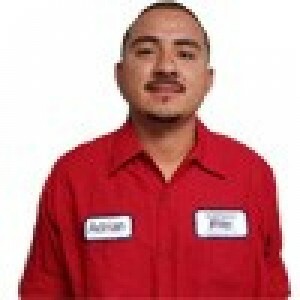 Miguel worked consistently, and was very polite, patient and professional in answering questions, explaining the procedures of installation of both the new furnace and the new air conditioning units. Work was completed on time and clean-up was complete. Abraham and Isaiah likewise were very efficient in explaining all they had to do in cleaning out the ventilation system, working methodically and efficiently, completing their work in a very timely manner, and cleaning up very well. They were also courteous, friendly, polite and complete in answering all questions on procedure. Overall it was a great pleasure working with all 3 individuals in meeting the needs of taking car of our home. A company is only as good as its employees, and based on their performance, this company is exceptional. They are well trained, knowledgeable in all aspects of their job, and this is a reflection of the company. Great team effort. Abraham and Isaiah are the reason we'll use Arizona Comfort Systems in the future. Quality work, and professionalism. Explained everything to us in detail. Great asset to your company. 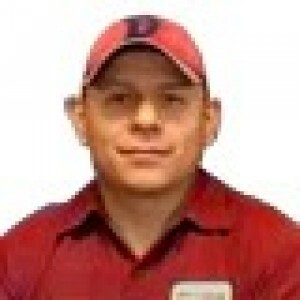 I have had the wonderful experience of having Abraham come over to the house and service the AC ductwork. He was professional and personable at the same time. Abraham represented the company, Arizona Comfort Systems, with the utmost enthusiasm. Abraham was mentoring Isaiah. His interaction with isaiah was friendly as well as instructive. They demonstrated a comradery and great working relationship. I would recommend Abraham, Isaiah and Arizona Comfort Systems for future service. David A.
Abraham was efficient and professional. He took ample time to take the pictures I needed and explain everything thoroughly. Will highly recommend in the future!! Abraham was very friendly and very professional! He made me feel comfortable about the work he did. Thank you Abraham! Abraham was excellent in checking out our Trane heating and cooling system! He cleaned all coils and filters. Checked all voltages. Cleaned the outside fan unit. Installed two voltage surge protectors. I highly recommend him. Arizona Comfort Systems was the original supplier of my system when the house was being built and have serviced both the heat and A/C for the past 13 years. I can honestly say that each visit they continue to impress! Raymond did an excellent job of service. He was fast and accurate and took care of all issues and supplied either pictures of the work or showed me what had to be corrected. I feel very confident that my system will perform as it should. Abraham was very professional and did a great job. Had Abraham come by to clean our duct system for a new install. He was very professional and did a great job. He were extremely patient with our 4 year old and even let him help with what he could. We will definitely being going through Arizona Comfort Systems for all our heating and cooling needs. AZ Confort Systems is the best. Customer service is first rate and the technicians are thorough and polite. You can’t go wrong with this company. 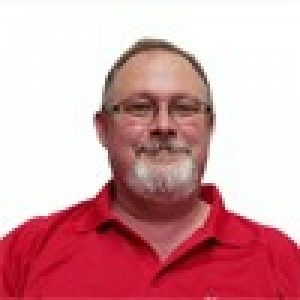 Robert was professional, quick and knowledgeable. Robert was great!! He showed up on time and got started right away. He showed me a video of my system and explained what needed to be fixed. He walked me through everything. This team and company are great! Wouldn't hesitate to recommend them to everyone. Don't seem to be able to post a new review. Miguel and his assistant did an outstanding and very professional job! They worked hard, quickly and cleanly! Tested everything reprogrammed the thermostat and ensured I knew how everything works. Thanks, Gentlemen Abraham cleaned the duct work. He also did a great job! He is very personable and respectful. Thank you, Abraham! Great team! Will recommend Arizona Comfort to everyone. Robert did a great job on my unit. It was a tough electric problem he solved. He was very easy to work with. Not only did Robert identify the problem with our furnace in record time, but we learned a lot about our system, including age, condition, what type of filter to use and how often to replace it. He was very personable. He explained the benefit of the maint agreement in extending the longevity of the furnace. We will request Robert for our next visit. Angela did a good job in scheduling an appt for one hour after I called! She was friendly and is a good customer rep. Robert called shortly after to say he was on the way. Excellent service, excellent company. Thank you. PS - Do you ever think about offering a 10% senior discount? It would be very helpful for those of us on a fixed income. Due to a screwup by a realtor (NOT THE FAULT OF AZ COMFORT SYSTEMS) I found my furnace inoperative that was supposed to have been repaired by close of escrow. This individual tried to cut corners by NOT heeding AZ comfort systems recommendations After I complained to my agent; ****** ,their tech was dispatched the next day and repaired everything as had been originally recommended. He was very professional, courteous and pleasant,cheerfully answered any questions I had and had the unit up and running in a few hours;which was amazing considering the extent of the needed repairs. He also took the time to test and cycle the furnace to make sure it was operating properly!! I am VERY PLEASED and would HIGHLY recommend AZ comfort systems to anyone ! I will be contacting them in the event of needed future repairs !! Robert is very knowing of the product. Fast and through job is done. Left with me being very satisfied with the device and the install. Robert performed a professional type cleaning of the furnace. Very pleased with the job he did. Found that the 3rd bedroom vent is not hooked up to the furnace (since the house was built in 2009. Surprised that the building inspectors did not catch this. Robert did an AWESOME job checking the furnace. Removed the blower assembly and cleaned with solution & water. Checked the vents in the house and found the vent to the 3rd bedroom is not hooked up. Room is about 20 degrees cooler than the rest of the house. Vent was never hooked up from when the house was built in 2009. Surpried that the building inspectors never caught the issue.